Plenty of time was given to open conversation and each presentation generated wide-ranging discussions, so much so that we went significantly past the time we were supposed to end! 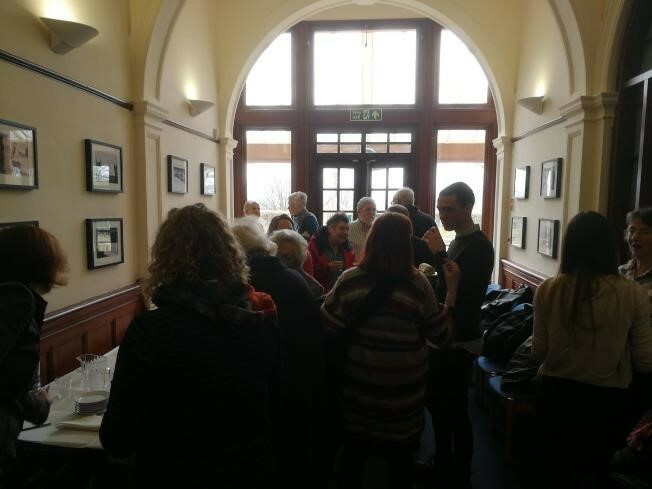 In particular, many of the audience shared connections between the presentations and their own experiences and concerns, including issues specific to the Dumfries & Galloway region. But the conversations didn’t stop there, with most people staying on afterwards for additional discussions with team members over a light lunch. More personal experiences were shared, and ideas for collaboration were hatched. There was a great deal of enthusiasm as to when and where the next event might be held, and several community members said they would like to work with local organizations to host similar presentations from the Group. 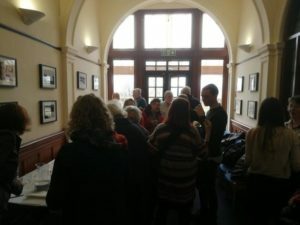 People were so keen to continue the connection that there was even discussion of organizing a local community network to collaborate with the End of Life Studies Group, and an email list of interested parties was started. Thank you to everyone who attended and made the event such a success. In particular I would like to thank Margaret Dobie, who worked diligently to bring the event to fruition. 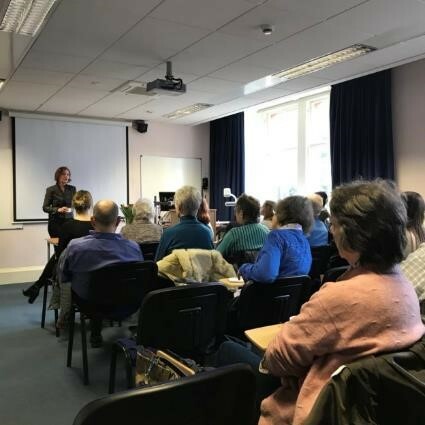 Her ongoing support of the Glasgow End of Life Studies Group, and our personal friendship – which evolved over many cups of tea – was the genesis for this ‘Talk & Tea’. You can find out more about Margaret here. The event also would not have occurred without the support of Professor David Clark, the founder and lead of the Glasgow End of Life Studies Group. We are planning another event in the fall of 2018 to showcase other aspects of the Group and its research streams, as well as to explore opportunities for strengthening community connections. In the meantime, we encourage anyone to contact us who is interested in knowing more about the work that we do, or in having a member of the Group come discuss their work at a community organization or meeting. Looking forward to seeing all those who attended again in the fall, as well as welcoming some new faces!